This detailed map covers the centre and southern area of Sutton, an area stretching from West Street southward along the High Street and then Brighton Road to Egmont Road and Sutton Farm. Coverage also extends westward to Lower Cheam, the Manor House and Cheam station. Features include Sutton station, St Nicholas parish church, Lower Cheam House (built in 1800 on the site of East Cheam Manor House), Sutton Public Hall. The boundary between Cheam and Sutton runs north-south down the map, and east of this numerous streets reflect Sutton's growth. 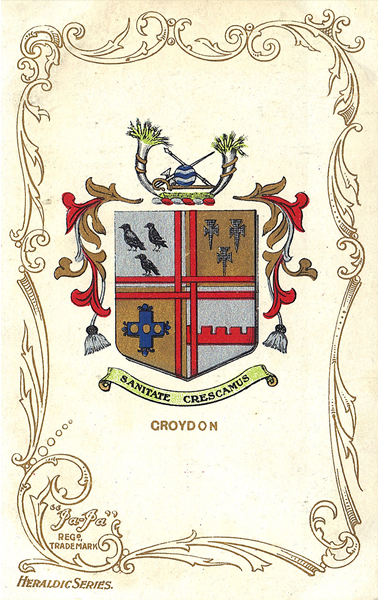 Street directories for Carshalton Road, Cavendish Road, Cedar Road, Cheam Road, Grange Road, Grove Road and High Street are on the reverse. The map links up with Surrey Sheets 13.11 Sutton North to the north, 13.14 Cheam to the west, 13.16 Carshalton South to the east.